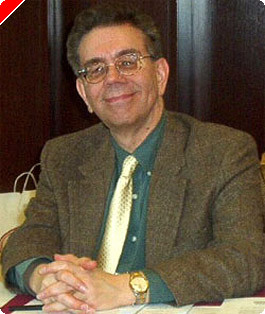 This article originally appeared on Pokernews.com, October 25, 2006. Last time we talked about doubling in high anchor positions, and looked at three typical positions where White held an anchor on the 5-point and Black was trying to cash in on his racing advantage and bring his last checkers home to victory. 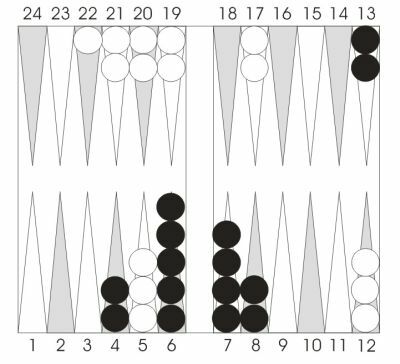 One position, where Black held a 12-pip lead, was not a double. The other two positions, where Black's lead was 20 and 40 pips respectively, were doubles and takes. From these examples, you might conclude that almost any 5-point game was a take, regardless of the race. But it's not quite that simple. In this article we'll look at some examples where small modifications to the position can produce big in the evaluation. Black has a whopping 40-pip lead in the race (99-139), but White has an easy take, based on his chances of getting and hitting a shot as Black tries to clear both the 13-point and the 8-point. Black has a 40-pip lead just as before (108-148), but the position is a little different. Black owns his 7-point in this example, and he has a big pile of checkers on his 6-point and 7-point. Is that enough to change the evaluation? 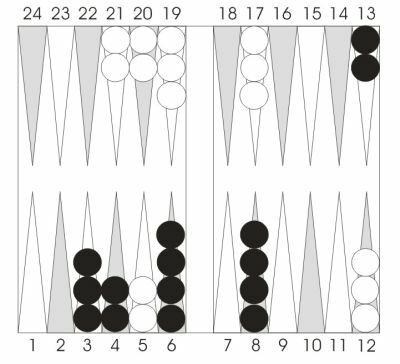 Black now has 7 rolls each turn that clear the 13-point without leaving a shot: 2-2, 3-3, 4-4, 5-5, 6-6, and 6-5. 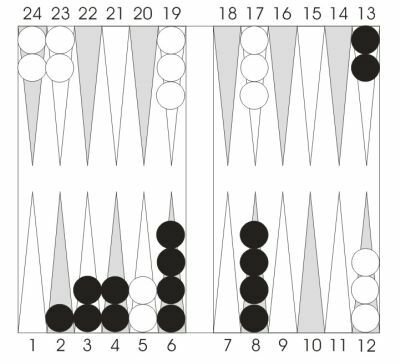 The many spares on the 6-point and 7-point mean that Black will have several turns to move without disturbing his position, while he waits to throw a number that clears the midpoint. Seven rolls may not seem like a lot, but the cumulative effect is substantial. If he has four rolls to try to throw one of his seven numbers, his chances of success are higher than you might think: about 60%! And even after he leaves a shot, White still has to hit it, and then win the game after hitting. White's winning chances in Diagram 2 are only about 17%, and he has to pass. In this position Black leads by 29 pips. Certainly he has a double, and at first glance you might think that White can take here. But White has a big problem. Unlike the positions in the last article, White's home board is no longer in such good shape. In those positions, White was on the verge of completing a full prime, which would win the game if he could hit a shot. But here, White's home board is ragged, with the 3, 4, and 5-points still to be made. Because White has made the 1 and 2-points first, he can't hope to make an outside prime and roll it home. Instead, he has to fill in all three home board points before he can claim the game after hitting. That's a tall order, and it will give Black many extra opportunities to save the game even if he gets hit. The weak home board gives White a clear pass. Your opponent must leave a shot. You must hit the shot. You must win after hitting. If the best you can hope for is to get a single shot, then event (2) is never more than about 40%. To have a take, the probability of event (1) needs to be around 50%, and event (3) needs to be almost a certainty. Check all the features of a position before taking a cube in these situations. Next time: Volunteering a Shot.